Our range of products include power plus earthing gel, soil resistivity improvement powder (srip) and back fill compound (bfc). With the aid of our creative experts, we are able to bring forth a rich collection of Soil Resistivity Improvement Powder. Offered SRIP reduce soil resistivity of even worst kind of soil. Our products are highly demanded in industries to reduce the resistance strength of soil. We manufacture our products in high-tech laboratories to enhance the quality and make avail the best outcome to our patrons. We ensure offered products are nicely packed and dispatched to clients at stipulated time. 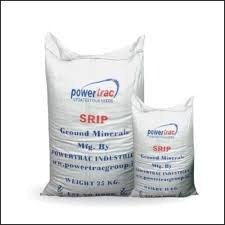 We are a preeminent Manufacturer, Supplier and Trader of Back Fill Compound comprising natural earth minerals. Our BFC are highly demanded in industries as a safe-guard of equipment. We manufacture these products under the guidance expert professionals to maintain high quality using high-tech equipment and latest technology. Using quality-approved raw materials to manufacture our products make us reliable for our clients.